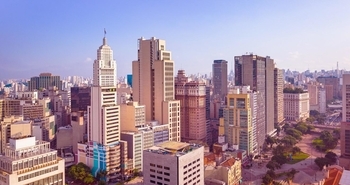 In an interesting development, Virgin Atlantic has announced that it will be launching flights between London Heathrow and Sao Paulo in Brazil in 2020. It will be a daily service, although flight times and the exact start date have not yet been released. It will use a Boeing 787 aircraft so you won’t get the brand new Upper Class which is going onto the A350 fleet – and which will be launched on 8th April. This is Virgin’s first route into South America. It will go up against British Airways and LATAM, who both offer direct services from Heathrow. The press release stresses that Virgin Holidays will be launching a full programme to Brazil alongside the launch, which implies that the leisure arm of the group now has some say over where the airline chooses to fly. Tickets will be on sale “later in 2019” so don’t start looking for cash or Flying Club redemption seats just yet. We will do a further article when seats become bookable. 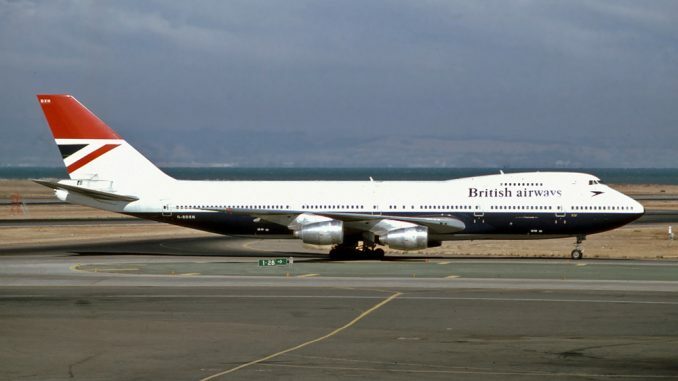 The 4th and final British Airways aircraft to be repainted as part of the 100th birthday celebrations is due to land at Heathrow this morning. There is a press launch but unfortunately we can’t make it as we are attending a Malaysia Airlines event. Look out for a review of their Terminal 4 lounge and A350 business and First Class seating soon. We will bring you some pictures of the repainted aircraft over the weekend. This is huge: whilst Virgin have ZERO partners in S.America, Sky Team has AerolineasArgentina, so it’s not out of the realms of impossibility that there may be, at the very least, an interline with them. Delta also has a partnership with Brazilian airline GOL that probably could be extended to VS.
You mean the airline fees as opposed to actual government imposed taxes and airport charges. But yes if VS reduces their surcharges (which are really part of the base fare) then yes they could attracts some BA flyers. This livery thing a fake newscabout being 100 years old is frankly rediculous. OT – does anyone know if it’s worth contacts hotels directly to try and get a better reservation deal than those quoted on their Marriott website? I’m Marriott Titanium Elite so would prefer to book directly. Looking to stay at either Ritz Carlton or Le Royal Meridien in Dubai. Can anyone advise if I would get free breakfast and any lounge access at either of these resorts? Just extended stay by a night at Al Hamra Ritz Carlton in Ras Al Khaimah by speaking to front desk, was quoted the same as online members rate. Titanium elite status here too. Current member rate offer here includes breakfast, worth checking the rate details to see if the same applies in RC Dubai if not check Amex FHR rates, it was only £10 more for 2 at Al Hamra and would normally include $100 credit and other benefits. Had success with this st Hilton. When you call ask for the conference and events office, not reception or reservations. Not many comments in bits today – is there something else going on ?!? Probably because there are only so many articles you can read on meaningless paint jobs. Have a cup of tea, you’ll feel better…. there’s over 500 comments already on the main article – guess that’s sucking in most of the commenting activity today ! Those’ll be the moaners and groaners who spent a lifetime strategising how to churn cards for points with very little spend. It’s all blown up in their faces. 1) when is the first annual fee charged for the Plat? I assume it (£450) is charged 12 months after original gold approval date – correct? 2) are there any MR awarded on renewal and if so how many and when posted? 1) when is the first annual fee charged for the Plat? £450 charged on the first statement after upgrading. If it was 12 months after the Gold approval, you could get a free year of Plat if it worked that way! It doesn’t. None, unless you phone them to cancel and arrange some sort of retention bonus but what you are offered depends on personal spend. 1) it may vary but many people (including me) have not been charged until the anniversary of getting the Gold card. So a 100 year anniversary celebraated with only insignias from the last 50 or so? Even the BA marketing people know it’s not a real centenary. J Sainsbury opened his first grocery shop in 1869 – THAT is a real anniversary. to be fair – the planes didn’t really have much paint for the first 40 years ! Of course, one should use the Qatar lounge instead of the Malaysian (business) lounge(s) as it is far better.. When I was there in October 2017 and the morning Qatar flight had left, we were the only ones left in the lounge! OT — I have an Amex Gold credit card. If I get a supplementary card, will this come with its own Lounge Club card, including the two free passes? 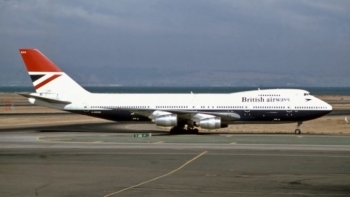 The (Arthur) Negus livery, how apt, most of BA’s clapped out 747’s are Antiques…. No-one seems to have posted that BA has bought back the double avios promo. Looking for some Hilton advice please. Has anybody here used the 2x points rate? I’ve only ever used the AA or HH discount flexible rates, or the advance rate in the sales, but I’m eyeing up a room which is £89 AA or £99 2 x points. Both are flexible, but thought I should actually consider which is best rather than assume it’s the cheapest. OT bits – 100% Avios bonus on 6 flights – don’t recall seeing it mentioned? São Paulo is a bit of odd place to fly to in Brazil, especially if VA’s targets are tourists. Rio De Janeiro is the main tourist city of the country, followed closely by Salvador (only Air Europa, a Spanish airline and part of Sky Team) fly there directly from Europe. Although many people who’ve got friends and or family in Brazil would fly into São Paulo first, since its the biggest city in the country, and has good domestic flight connections to the rest of the country, maybe this is the start of Virgin Atlantic looking into routes directly to South America, before this it could only be done with a connection in the United States and with Delta on at least one of the legs.